On every project you always seem to find one kid who completely shakes your foundations and makes you think. For me this kid was Moses who I met at the Family Spirit Centre. Moses is about 8 years old, slight in frame and about average height for his age. As we stepped off the bus to meet the kids at the centre, immediately I found a hand grab mine with the other vigorously pointing to the entrance of the centre. One of the workers at the centre explained that Moses was mute, but could hear and wanted to show me around the centre. For the time I was there I had a guided tour of the centre, with Moses showing me the places that mattered to him and the friends he wanted me to meet. Although mute, Moses’ emotional intelligence to read other children’s and my own feeling feelings is acute, and his reactions through either his expressions or body movements conveys how he feels. The children in the centre accept Moses for who he is, there is seemingly no animosity or mickey-taking he is a part of the family at the centre. On leaving the centre one of the volunteers at the centre explained to me his background. Moses and his brother Joseph Kiiza came to Family Spirit around 4-5 years ago. They were found by the roadside on the outskirts of Masindi. Moses’ brother was carrying him on his back, as he could no longer walk. Their parents had died of AIDS, leaving Moses and his brother alone. When they arrived at the centre both were severely malnourished, and very weak. Both Moses and Joseph were also HIV positive and without the support of ARVs. When the police found them, and took them to the Family Spirit Centre there were doubts whether Moses could ever walk again. However through receiving the right treatment to mange his HIV, proper diet and support to help Moses was able to walk again. 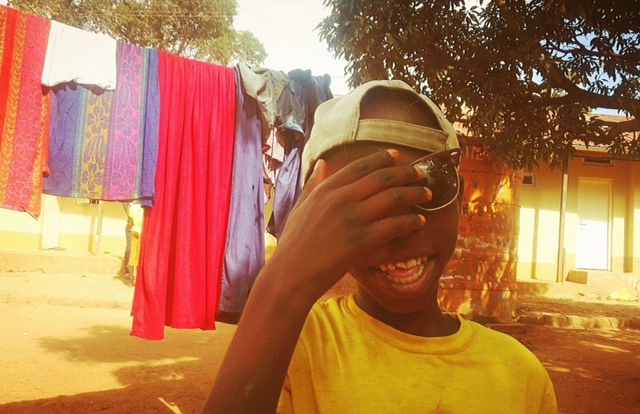 Both he and his brother lived together at the centre, with the other children, attending school, making friends, playing and doing what most other kids their age do. The pair of them were inseparable, and supported each other in the centre. Two years ago when playing at the centre Moses’ brother collapsed when playing with the children at the centre. At the time no one was sure quite why, and attempts to aid him did not help. He had a severe epileptic fit and as a result passed away at the centre. Now two years on whilst Moses may not have his immediate bloodline family around him, the other children and volunteers at the centre are his family. His history you would not know, as he runs around the centre with a smile on his face, with the other children. The beauty about the centre, which contributes to the amazing support network each child had around them, is that there are children at this centre from all backgrounds Ugandan, Sudanese, Congolese and Kenyan. There are kids with hearing, physical and visual impairments, HIV positive and negative, and boys and girls playing together with ease. Age is also no barrier in all the kids coming together to support each other. Part of our CWB message is no stigma, if you wanted to understand why breaking down stigmas is so important, Moses’ history and where he is now is a reason why. Awesome. Every trip has a story like this, which is why CWB is so important. Jules, having visited Family Spirit last year I know what a special place it is. Reading your blog took me right back there and I hope to go again one day. We remember Moses and his brother Joseph very well from our previous visits. Every time we go there, he seems better and better. Definitely in the right environment now. Great to hear that you all ahd a good trip.